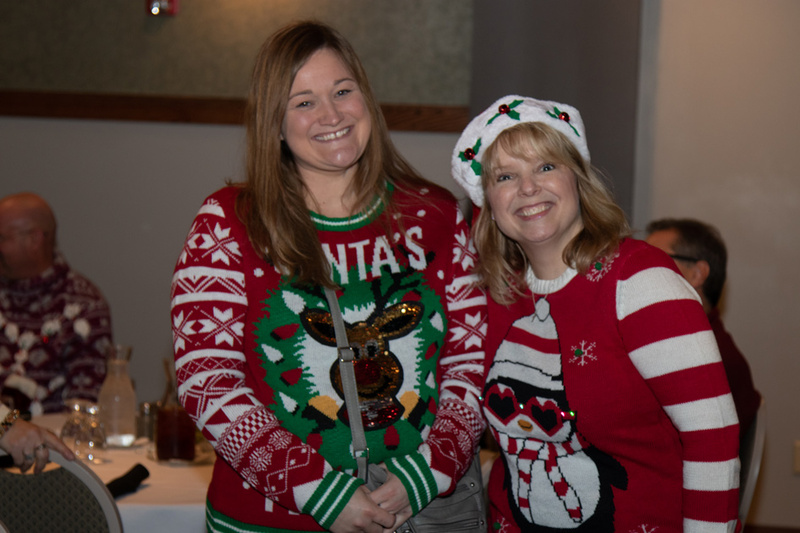 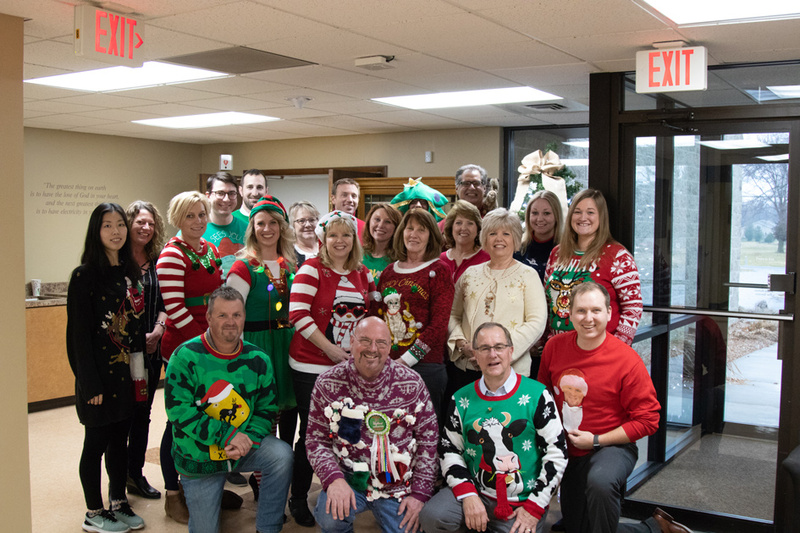 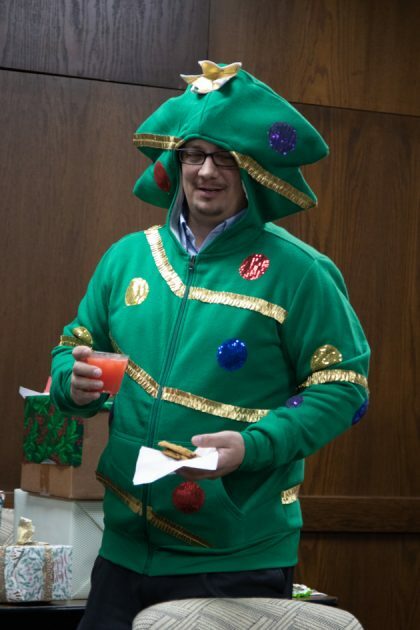 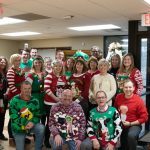 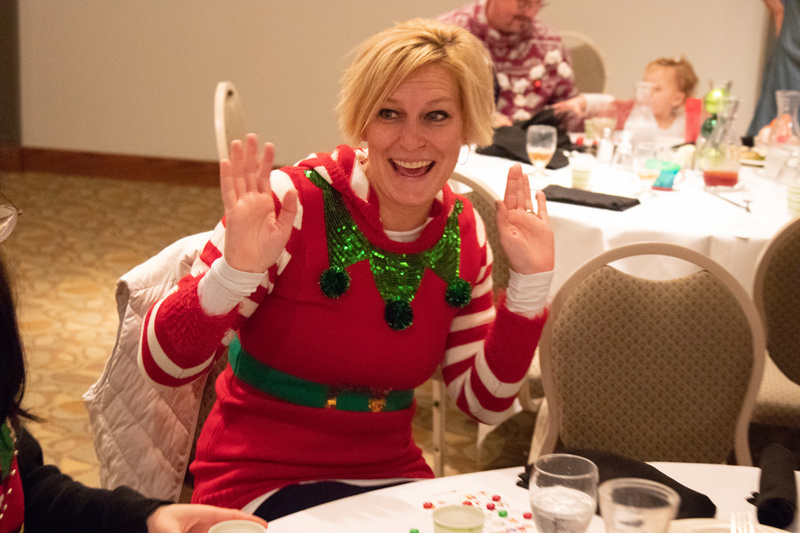 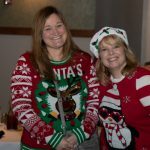 On December 20, AIEC staff celebrated another annual holiday themed event, the Ugly Sweater Contest. 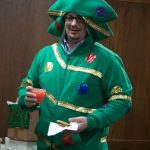 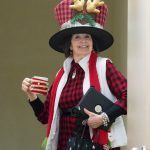 The contest provided the perfect excuse to dig deep in the closet and turn an ugly garment into the sensation of the season. 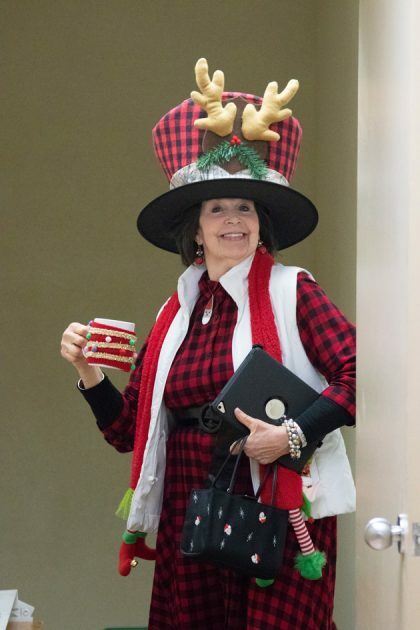 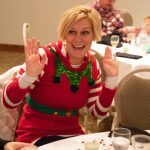 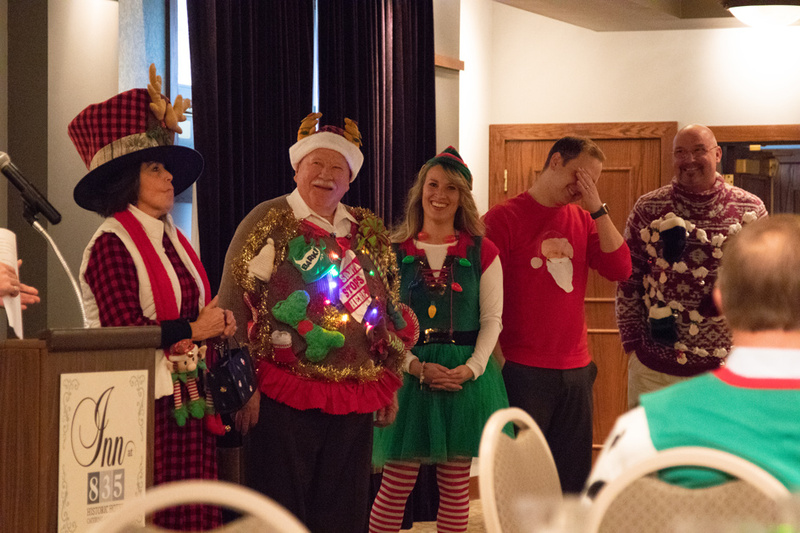 This year the Board of Directors joined the fun during the Christmas luncheon. 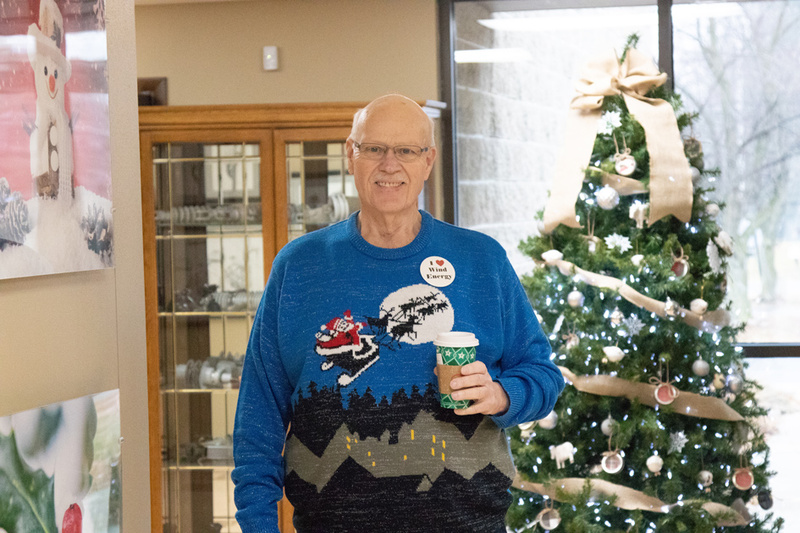 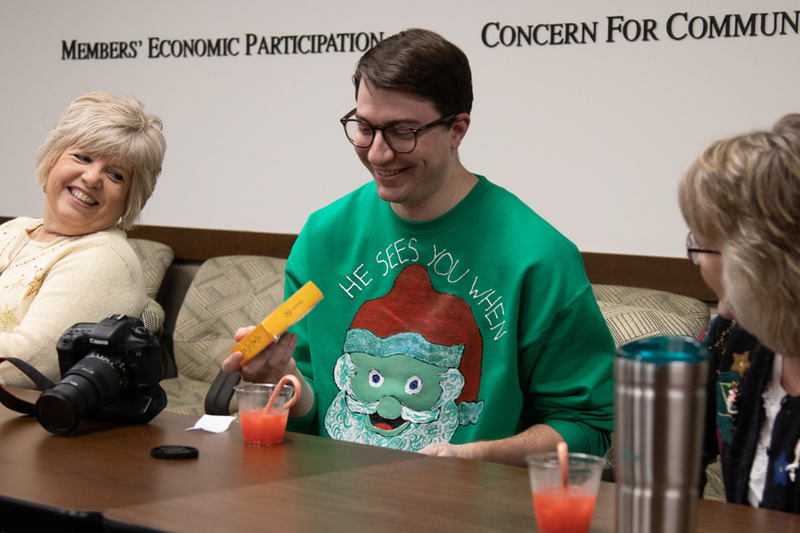 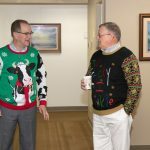 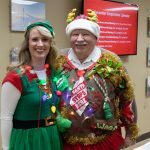 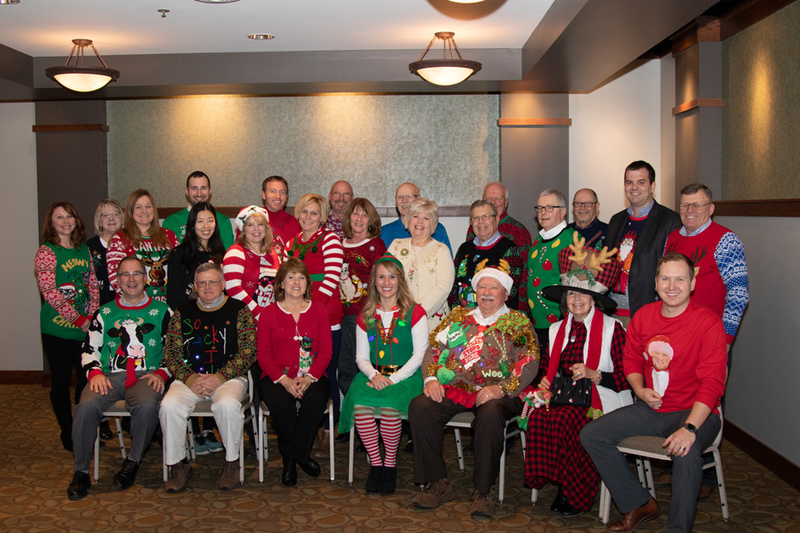 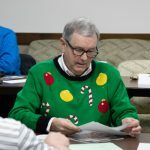 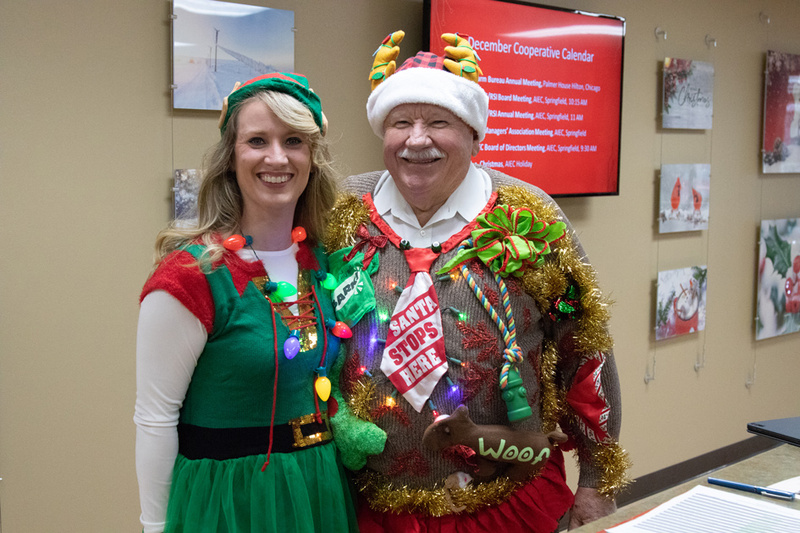 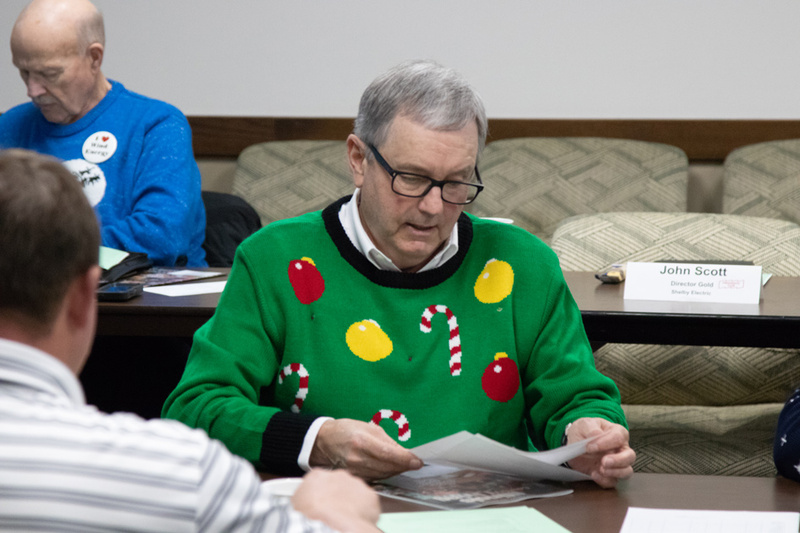 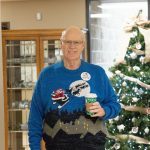 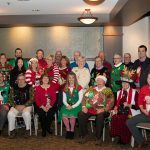 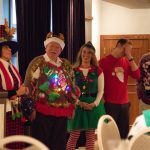 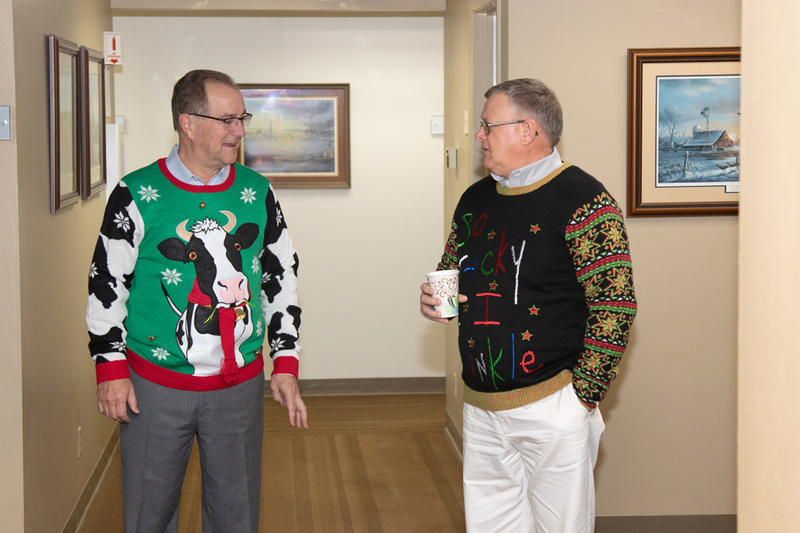 Later at the AIEC, retired employees, Don VanHouten and Sandy Wolske, judged the sweaters and decided the ugliest sweater was worn by Jim Pauley. 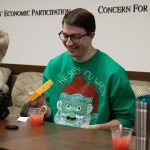 A White Elephant gift exhange and cookie exchange followed the party.